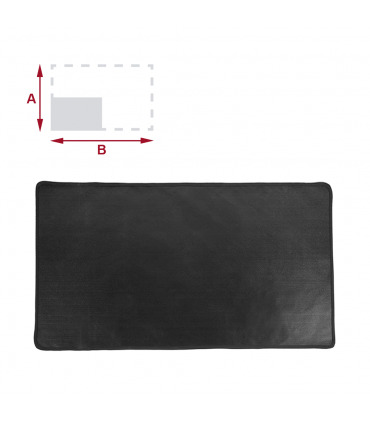 Set up your own welding blanket according to your size and protection needs. 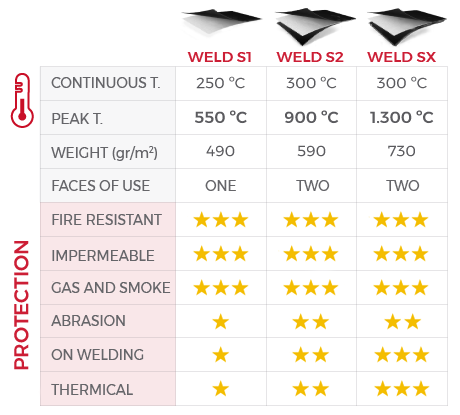 You can choose the blanket fabric among three Texfire protection levels: WELD S1, WELD S2 and WELD SX. Optionally, you can incorporate metal fastening eyelets on perimeter, every 50 cm, to hang the blanket in vertical position. 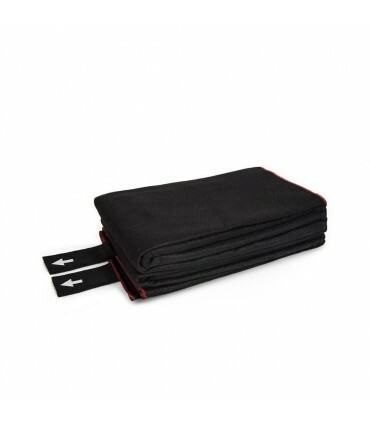 The blanket edge is reinforced with meta-aramid black flame retardant yarn in overlock sewing. 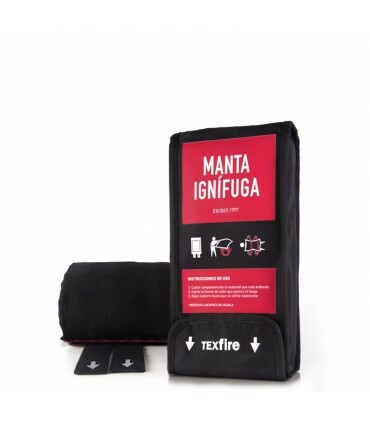 Permanent flame-retardant protection, does not spread flames. High mechanical resistance to tractions and tears. 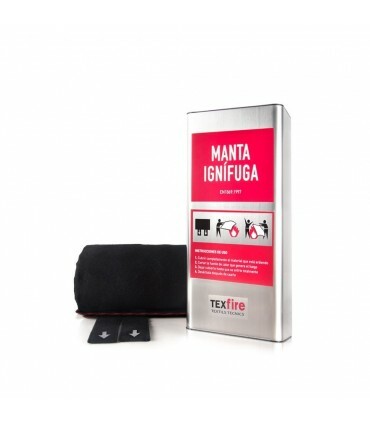 Impermeable to water, oils, fats, vapors and fumes. It can be hung in any position by eyelets. Free of asbestos and products harmful to health. 100 cm.200 cm.300 cm.400 cm.500 cm.600 cm.700 cm.800 cm.900 cm.1000 cm. 150 cm.300 cm.450 cm.600 cm.750 cm. Metal eyelets clamping. The distance between eyelets is 50 cm.